How to get the most out of the Martha & Marley Spoon Fiesta Box. Have you ordered our festive Fiesta box yet? No? What are you waiting for? Every day is #TacoTuesday with our flavor-packed Fiesta Box. We'll send you everything you need to make a three-course dinner for either four or eight people. Whether it's your turn to host your best friends, a special dinner just for you and the family or about time you treated your roommates - our Fiesta box has you covered. Wondering what you can prep ahead of your Fiesta? Follow these steps to make kitchen prep a breeze! 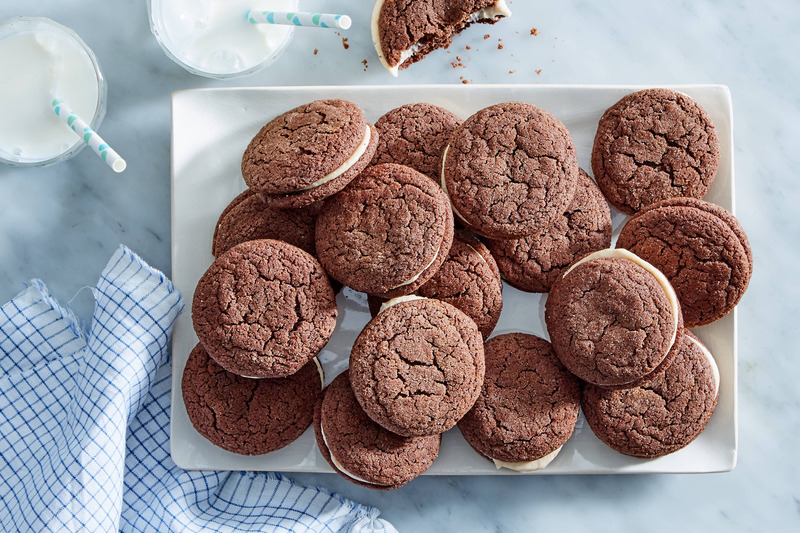 Mexican Hot Chocolate Cookies: Unfilled cookies can be baked, then stored in an airtight container at room temperature for up to 5 days. Filled cookies can be refrigerated in an airtight container for up to 5 days. Chili-Rubbed Steak... The poblano-bean-corn mixture can be made up to 2 days ahead and reheated just before serving. The radishes can be pickled up to 1 day ahead and refrigerated in an airtight container. Day of (in advance of the fiesta) complete step 1 to marinate the meat. Store in the refrigerator until ready to serve. Shrimp Tortilla Soup The tortillas can be baked up to 2 days ahead and stored at room temperature in an airtight container. Re-crisp in a 350°F oven just before serving if necessary. Day of (in advance of the fiesta) the soup can be made ahead through step 5, stopping just before you add the shrimp. Reheat when ready to serve and complete by adding the shrimp and finishing step 6.